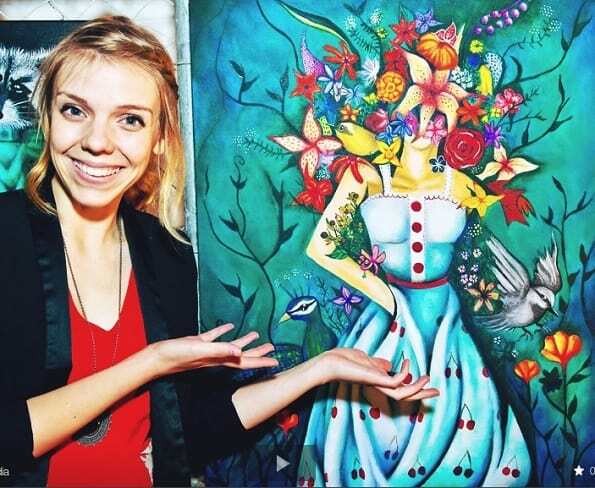 In our latest edition of Creative Corner we spoke with Adele McKenna, the creative mind behind Honeyguts Art. 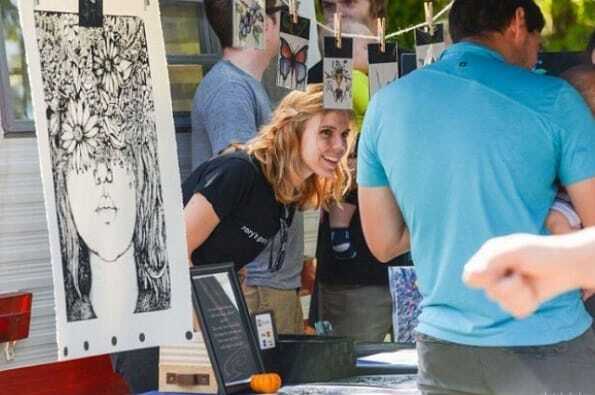 Despite founding Honeyguts just last year, Adele has been taking the local art scene by storm with her quirky and unique works of art. 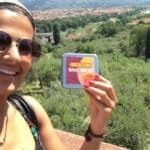 We chatted with Adele about how her business helped her overcome a creative roadblock, how she defines creativity in her own life, and her unique ties to famed artist Bob Ross (spoiler alert: it’s more than just painting!). How did Honeyguts Art come to be? I started Honeyguts Art about a year ago in an attempt to break a bit of a creative block I was struggling with at the time. 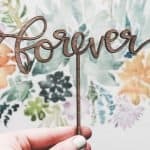 The last few years have been a whirl-wind full of job changes, moving several times, getting married and going through an immigration process (I am originally from South Africa). I became a little burnt out and found myself struggling to make anything I enjoyed, so I started Honeyguts Art as a project to get my creativity back and invest more time into making art again. I signed up for The Makers Festival shortly after starting Honeyguts and that really provided the impetus I needed to get going again – there’s nothing like a deadline to cure a creative block! When did you first discover your artistic talents? Is this something you’ve known since childhood, or is this something you tapped into later in life? I’ve enjoyed making art for as long as I can remember, but it was always in a very casual sense when I was young. I definitely abandoned it for a while in the “growing up” process until I made some art as part of a fundraiser for a friend of mine a few years ago. That was the first batch of art I made as an adult and people responded really well to it, so I sort of rediscovered it from there. Which three words would you use to describe your design style? I would say most of my work can be described as either creepy, whimsical or funny. What does being “creative” mean to you? I think creativity can be applied to just about anything from general problem solving to finding different ways to express your thoughts and feelings, whether it’s to get a message across or simply to make something you feel good about or something other people can appreciate for its own intrinsic value. You take custom orders — what have been some of the most unique pieces you’ve ever created for a customer? I very recently finished a custom painting for music producer Rob Freeman, who owns Audio Pilot Studio in North Jersey. 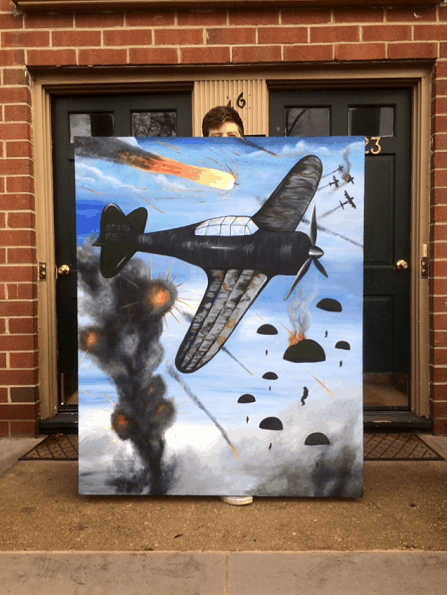 It’s a 4 x 5ft oil painting of a World War II scene and it’s by far the biggest piece I’ve ever done. I had no idea how I was going to do it when I started out and I was pretty intimidated by it at first, but I am really proud of the result and it’s the most unique thing I’ve taken on just because of the sheer size of the piece. How has the local art scene impacted your own design aesthetic? I think for me just being around other artists in the area and seeing the level of work that’s being put out is a huge motivator to push myself to get better at what I do – not even in a competitive way, but kind of like how every time I visit an art museum I just get so excited to go home and make art. It’s the same feeling with the local art scene. I was a vendor at The Makeshift Union’s Night Market in November and a patron there came up to me at one point and he said “man, every time I go to one of these things I just want to go home and make something!”. That pretty much hit the nail on the head. What is your “office” setting like? Or do you prefer to not work from one set space? 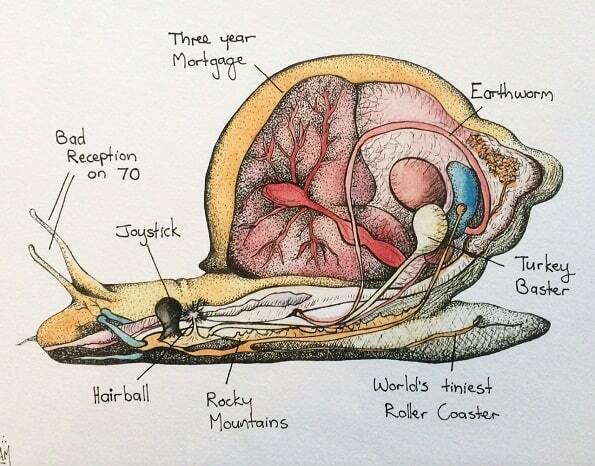 If we were to take a tour of your home, what kind of artwork might we find hanging on the walls? My husband and I are both huge music enthusiasts, so you’ll find a lot of really well designed tour posters on our walls (my favorite being one from a band called The Decemberists – check them out, you’re welcome). We also have quite a few Kelly Killagain pieces on our walls and shelves. Kelly is a really badass local artist/sculptress and you can find her work at kellykillagain.com! What is your personal favorite piece of art you’ve ever created? A friend of mine named Mike Virok is a luthier in Bordentown and he did a project a few years ago where he gave unfinished guitar bodies to artists he knew. He gave us total artistic freedom to paint whatever we wanted on them, and I did this kind of retro looking female astronaut on mine. 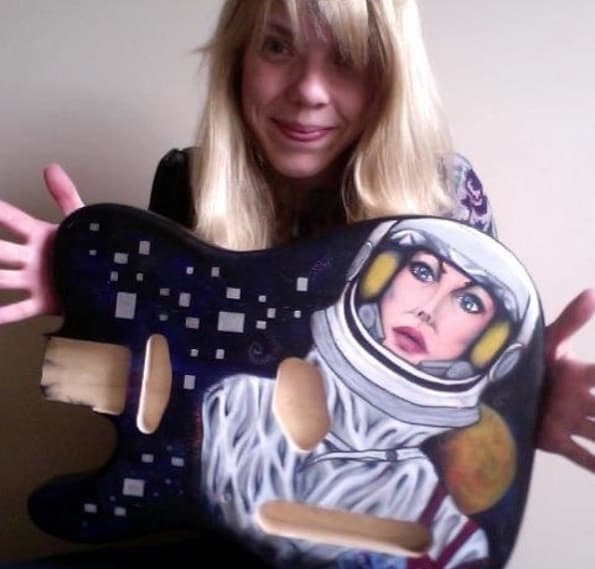 It’s definitely my favorite piece and it combined my love for music, art and outer space perfectly! If you could go on an artist’s retreat anywhere in the world, where would it be and why? I would opt for Iceland or Japan. A lot of my work is heavily influenced by nature and Iceland just looks so epic and beautiful. On the other hand, I’ve always been fascinated by Japanese culture and I would love to learn more about Japanese art in general. Aside from being phenomenally talented in painting and drawing, do you have any other hidden talents? I wouldn’t quite call them talents, but I love playing music (guitar and piano) and I love writing fiction. I’m hoping to spend a lot more time doing all of those things in 2017. I also accidentally caught a raccoon with my bare hands once (we don’t have those in South Africa, I didn’t know…), so I’d say I’m pretty talented at animal control. That might be my best one, actually. If you could collaborate with any artist from any medium, past or present, who would it be and why? 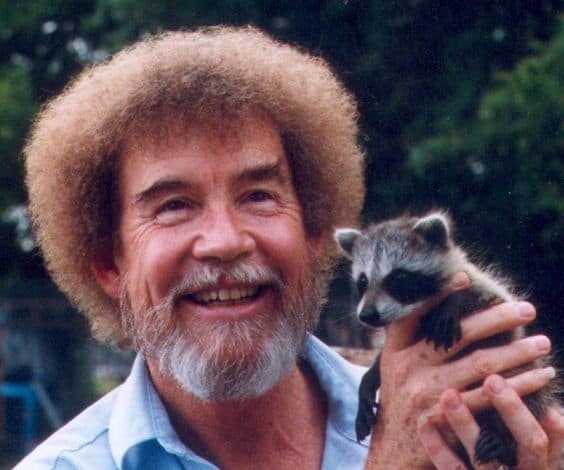 I would collaborate with Bob Ross just to spend some time around him. Other than being an incredible artist, he just seems like he would be the ultimate mentor for both art and life in general. He also handled raccoons with his bare hands. Coincidence? I will be showing my work at American Sardine Bar in Philadelphia for the month of January and I will also be at the Asbury Park Punk Rock Flea Market on January 7th. Other than that I have a collaboration in the works with a brilliant writer I know named Dani Tauber, which will be a year-long project meshing art and literature together in 2017. Want to see more? Check out Honeyguts Art on Instagram for more of Adele’s artistic creations.